(Bloomberg) – China, the world’s largest buyer of soybeans, is expected to keep purchasing U.S. supplies as trade negotiations between the two countries continue, President Donald Trump said from the Oval Office on Thursday. China is expected to purchase 5 million tons of U.S. soybeans, Trump said. That would be on top of the estimated 5 million bought in the weeks after Trump met with his counterpart Xi Jinping in December in Argentina. The U.S. and China have made important progress during talks that were candid, specific, and fruitful, according to a statement published by China’s Xinhua News Agency on Friday. The nation has agreed to increase imports of U.S. agriculture and energy products, it said, reaffirming a pledge made last year, as well as purchases of industrial products and services. The countries also agreed to strengthen cooperation on intellectual property rights and technology transfer, Xinhua said. China is usually a top buyer of U.S. soybeans, taking 30 million to 35 million tons a year. 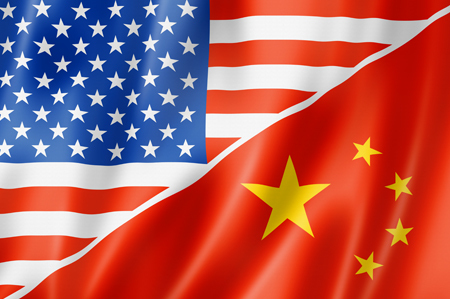 The countries have been holding talks in Washington, and Treasury Secretary Steven Mnuchin and U.S. Trade Representative Robert Lighthizer will travel to Beijing to continue negotiations. China slapped retaliatory tariffs on American supplies in mid 2018. After that, U.S. exports to the Asian country plummeted while shipments from Brazil surged. Prices in the U.S. fell, while premiums in Brazil jumped. Prices in the Americas have since come closer to parity. While China signaled an increase in purchases of U.S. agricultural goods, analysts, traders and farmers have said the amounts may not be enough as soybean inventories pile up. Chicago soybean futures for March added 0.7 percent to $9.22 a bushel as of 10:14 a.m. in Beijing on Friday, after earlier rising as much as 1 percent.